It's an impossible color scheme to neglect. The Hamptons explodes with activity during the summer months and the view from above is breathtakingly dominated by lush greenery, clear blue skies, bodies of water as far as the eye can see and the electric juxtaposition of lime green lawns spotted with turquoise pools. Familiar aviation elements are combined to form the identity. 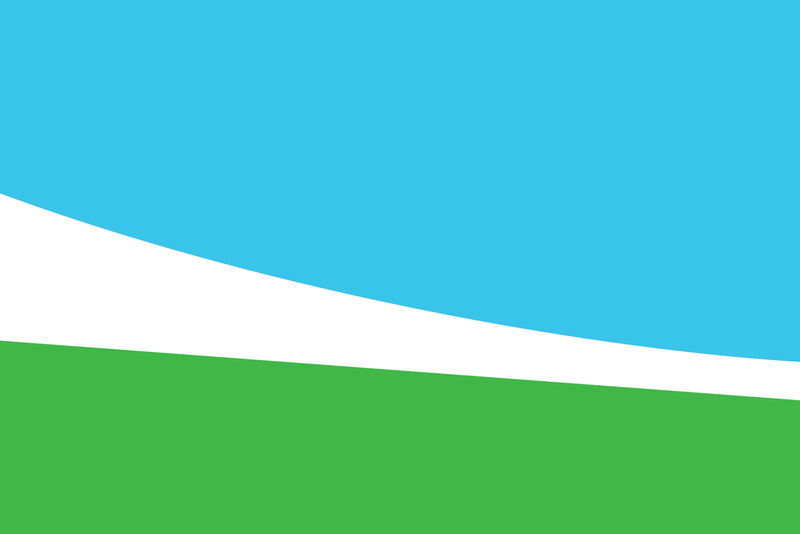 The linear green portion references a tilted attitude indicator or a banked horizon while the gentle curve above references an aircraft's trajectory and smooth movements through space. The resulting negative space diminishes from left to right representing a landing as opposed to a takeoff. Sound Aircraft's primary job begins once the plane is on the ground. It is the visual gesture of a soft landing and a warm welcome, indicative of the excellent care and service you're about to receive. 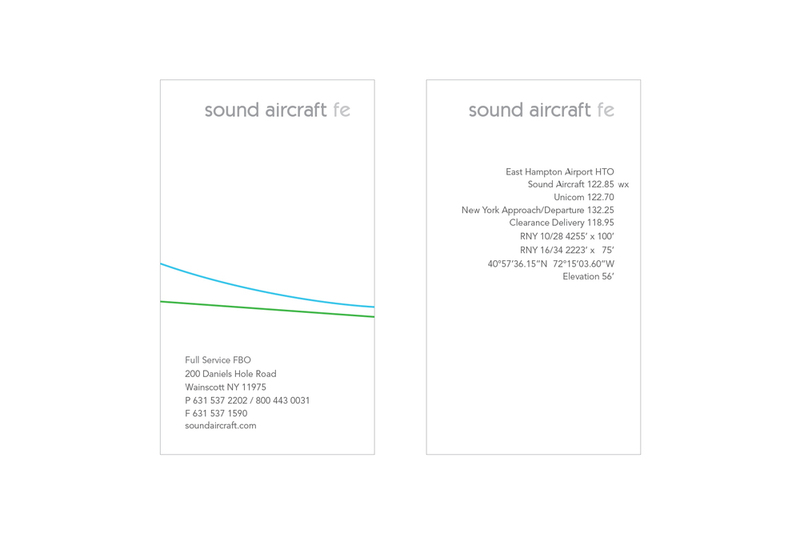 Two versions were created to identify separate divisions within the Sound Aircraft brand.